The Canadian Anti-Spam Legislation (CASL) has made it harder to connect with sales prospects. While most of us don’t like it, the law doesn’t care if it has annoyed us. It’s passed and we might as well deal with it. So, how do we grow our network without running the risk of being fined? LinkedIn is a great sales tool designed to do just that. Start by getting very specific about your definition of a top prospect. What industry, region and company size do you best relate to? What position? Use the search engine in LinkedIn to find members that match your criteria of a good prospect for your product or service. 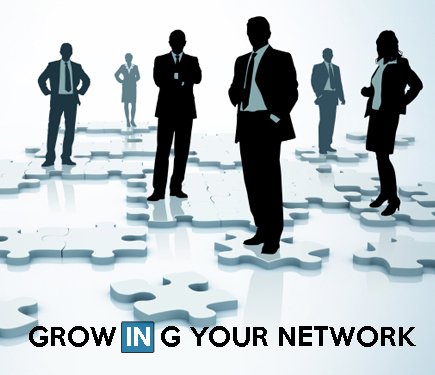 Join LinkedIn Groups that are most likely to have members that include your ideal prospect. At first, just watch and learn. Similar to going to a live networking event, you don’t jump into a group of people you don’t know and start talking. Be polite and get the flow of the conversation before you begin to contribute your ideas or questions. Start posting some of your own ideas, but be sure they are positive, helpful and thought provoking. Stay away from negative comments, rumors or sarcasm. Once you have begun to have some presence and people have likely seen your name a few times in the online conversations, invite individuals you’ve identified as good prospects to ‘Link’ with you. Don’t just go with the standard invitation that LinkedIn provides. Personalize it. Give them a reason for connecting with you. If they accept, you now have permission to contact them directly or include them in LinkedIn announcements. If you have ideas that can be helpful to your groups or to your prospects specifically, start posting them regularly. Keep them short and punchy. Write a blog if you have some skills in that area. Invite prospects to sign up for your blog or newsletter. For a small monthly fee, you can upgrade your membership so you can send emails directly to your network through LinkedIn. Unfortunately, all of this takes time and it is hard to know when and how it will pay off. It’s like planting seeds. Some will grow and some won’t. If you’re new in sales and you expect this to be the panacea for all your prospecting efforts, don’t spend your commissions before you have them. Get out and meet people at association meetings, networking events, social gatherings, service clubs and any other place where your prospects might gather. While LinkedIn is a great tool and should be part of your sales efforts, face-to-face meetings are still the best and fastest way to introduce yourself to new prospects so you can grow your network.